The New England Police Benevolent Association, Inc. is happy to support the First Annual “Jack Georges” Corn Hole Tournament being held on October 1, 2016 at the Tyngsboro Sportsman’s Club, 90 Westford Rd, Tyngsborough, MA. Proceeds from the fund raiser will be used to help members and family defray the costs of attending the National Law Enforcement Memorial next May in honor of Jack’s 10th anniversary. Perhaps your local could sponsor a team to show our support. Click link below. 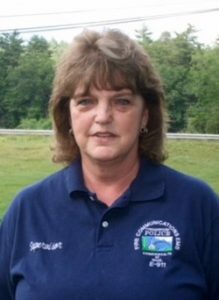 TYNGSBOROUGH – Glenna G. (Hedlund) Greenslade, age 63, passed away on Monday, August 22, 2016, at Lowell General Hospital surrounded by her loving family after a long valiant battle with cancer. She was the wife of the late, Teddy Greenslade who passed away in 1982. As all of you know, the JLMC was created in the mid-1970s to encourage the parties to collectively bargain their disputes involving municipalities and their police and fire fighters and to agree directly and voluntarily on the terms of their agreement or, if unable to do so, to create a process or procedure to resolve these disputes.